Fidelity beats Vanguard on expenses on 17 of 17 comparable stock and bond index funds and 11 of 11 comparable sector ETFs. Comparisons based on fund expense ratios only. Mutual Fund Share Classes. 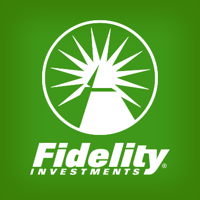 Fidelity separates mutual funds into Investor Class ($2,500 minimum) and Premium Class ($10,000). Individual ivestors in employer retirement plans may have access to these funds, including institutional share classes, without the minimums. This is in close alignment with Vanguard Investor and Admiral share classes. Highlights. Here are some broad US and Domestic index funds that I track. Valid for new members only, which here means the primary cardholder can’t have a current Costco membership or a membership that expired after April 1, 2017. Offer is valid at all U.S. Costco locations. The last $100 is harder to redeem, but the $20 gift card and $25 in free paper towels/pizza still makes it a pretty good deal if you have a household member without a current membership. Remember that you can save a bit more on your LivingSocial purchases with cashback shopping sites like eBates ($5 new customer bonus) and Mr. Rebates ($5 bonus). Why Don’t More People Use Programmable Thermostats? The hottest time of the year has arrived. The U.S. Energy Information Administration (EIA) shared some results from their 2015 Residential Energy Consumption Survey in regards to air conditioning. A programmable thermostat can save you a ballpark 15% on your cooling bill, with the average household saving $10-$15 per month. A programmable thermostat will adjust based on a preset schedule of when you expect to be home, away, or sleeping. Various studies (Nest whitepaper) have shown that you can save about 10% on heating and 15% on cooling, with the averaging household bill going down by about $10-$15 per month. Prices start at only $20 for basic models, but you could theoretically break even in two years even with a fancy $250 thermostat. This highly-rated touchscreen model is $45 and this basic Honeywell version is only $20. 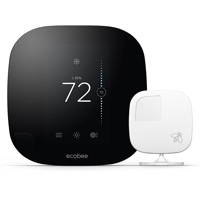 Newer smart thermostats like the $250 Nest Thermostat and $250 ecobee4 can learn how you like the temperature and also work with WiFi and Amazon Alexa so you can change the settings wherever using your smartphone or with your voice. So… you’d think they would be quite popular, right? Less than 20% of homes with central air conditioning regularly use a programmable thermostat. Heck, only 30% of folks who already have a programmable thermostat installed actually use them. The article doesn’t explore the reasons behind this behavior. Maybe it’s just too complicated to program? They tried it and didn’t like it? In case you’re curious, below are the average temperatures at which other people report setting their air-conditioning thermostat. Hmm… is it weird that my house is usually around 78 or 80 degrees? Bottom line. Using a programmable thermostat is a pretty reliable way to save money your electricity bill. But for some reason, people don’t use them! Using a smart thermostat is a less reliable way to save money (higher upfront cost, lower marginal benefit over basic programmable thermostat), but if the alternative is doing nothing, then it could be worth the additional upfront investment. Updated. 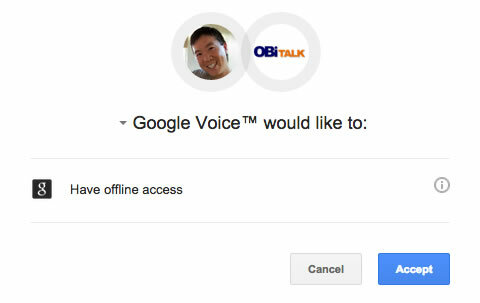 If you still like the idea of landline phone service and multiple handsets around the house, Obihai VoIP boxes are officially supported by Google Voice to provide unlimited free calls to the USA to Canada. That’s totally free: $0 a month + $0 in tax and fees. Low international per-minute rates as well. All you need is a broadband internet connection and and a power plug (no computer). Special offers. Get Obi200 for $39.98 when you use promo code OBIDEAL7 (expires 7/30/17). The seller should be Obihai Technology, Inc. at $49.99 before the coupon brings it down to $39.98 during checkout. There haven’t been many deals on these boxes recently. I bought myself a Obi200 in order to try out their free calls, and also compare the voice quality with my Ooma device. I thought about making a video, but it turned out to be unnecessary. Write down your unique Obi number. This is clearly printed on the bottom of the Obi200 box. Mine was 9 digits like “123 456 789”. Go to your computer and visit ObiTalk.com. Click on the link that says “Register” in the top right corner. Then just follow the directions. Dial a test phone number when it asks. It is easiest to use the “Sign in with Google Account” button since you already have one if you use Google Voice. I didn’t even have to type in my password (as I was already logged in by cookie). 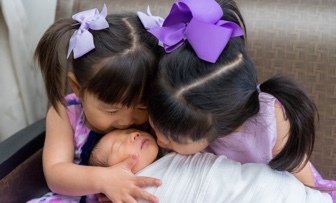 They didn’t require name, address, or credit card number. A few confirmation clicks, and that was it. Total set-up time was under 10 minutes. If for some reason my directions don’t work, check out the official Obi200 Starter Guide ] or their extensive set of tutorials. You can also add e911 service for $15 a year. Which Obi box model should I buy? I think the sweet spot for most people will be the Obi200, which supports T.38 faxing and has a USB port which can be used to connect to your router over WiFi using an OBiWiFi adapter. 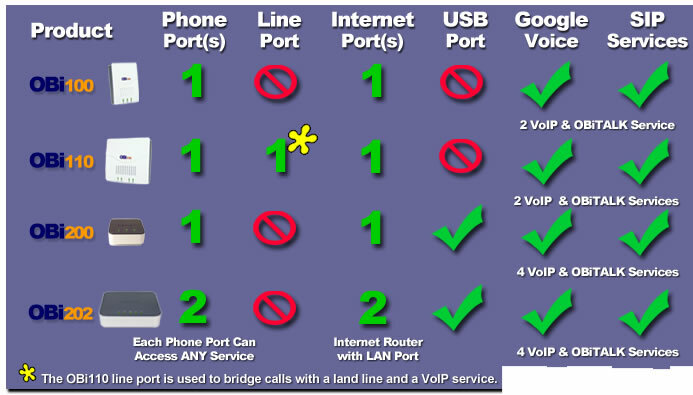 The Obi202 offers two independent phone ports so you can use two different VoIP providers simultaneously (or you can have two Google Voice phone numbers). If you can find one on the cheap, the older boxes work too. However, note that Obihai has stopped supporting Obi100 and Obi110 with new development. Here is a handy comparison chart of the OBi100, OBi110, OBi200, and OBi202. Bottom line. If you like the idea of having a landline-style phone service (multiple handsets around the house), this is a very good way to save money on your budget. The study found that spending money on time-saving activities was more efficient than material purchases in improving life satisfaction and decrease stress. This applied across different countries, careers, and income levels. For example, instead of spending $125 on clothes or gadgets, you’ll be happier if you spend $125 and the house is cleaned for you every two weeks. The more the activity is a chore that you dread doing yourself, the better. This seems perfectly reasonable. I’m betting most of us have washing machines and dryers. Many also have dishwashers. That’s paying money to save time. I also paid more for a house with a shorter commute. This article about “extreme” commuting (4 hours+ total every weekday) sounded quite horrible. 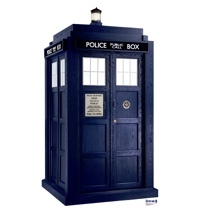 Amazon… enough said. I must admit, I still have a hard time outsourcing many household tasks. I don’t love doing home repair, but I do like that after something breaks (and I spend a couple of hours on YouTube and trips to Home Depot), I have learned something new. I should think about what tasks I hate doing the most. 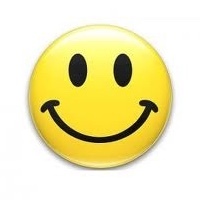 Bottom line: You can buy happiness by spending money to have more positive experiences. You can also buy happiness by avoiding negative experiences (i.e. having to spend your time on unpleasant tasks). Here’s a quick snapshot that illustrates why Vanguard and other low-cost funds are taking assets from active managers. Via this Bloomberg article. The US stock market has been on a great run for nearly 9 years now, and low-cost funds have been giving investors nearly all of those gains. People always chase past performance. The vast majority of index fund money is in US stock funds, and those have the best recent past performance. But when the US stock market eventually stumbles, those low-cost index funds will also be great at passing along all of those losses. What will happen then? While it hasn’t been very helpful recently, I still agree with those recommending have diversified exposure into other areas like developed international stocks, emerging markets stocks, and high-quality bonds. What if the North Pond Hermit Has Pursued Early Retirement Instead? 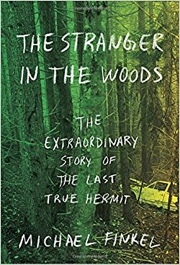 Of my summer reads was The Stranger in the Woods: The Extraordinary Story of the Last True Hermit by Michael Finkel. Many people dream about leading a “quiet life” away from all the hustle and bustle. The “North Pond Hermit”, real name Christopher Knight, lived alone without speaking or interacting with another human being for 27 years. Read a preview in this GQ magazine article. People seem to form strong opinions about this story. Some treat him as some sort of inspirational figure. Others only saw a saw a weirdo that stole a bunch of things. A lot of time and energy was spent trying to label him with the appropriate psychological disorder. My takeaway from the book was that he was a simple guy. He wanted to be alone. That was it. He wasn’t a libertarian or other political leader. He wasn’t religious. He wasn’t an environmental activist. He was never violent and didn’t carry a weapon. He wasn’t trying to impose his views on anyone. The fatal flaw to his plan was that he couldn’t provide his own food and shelter. He had to steal things from other humans to keep warm and to feed himself. His criminal trial sounded rather boring – He pled guilty for stealing about $2,000 worth of stuff like propane tanks, canned food, and batteries. More importantly, he affected the personal security of the people he stole from. Knight did wrong things, and he knew it. He served roughly a year in jail with specific terms during probation. I kept thinking to myself – Christopher Knight could have lived alone forever if he had just worked and saved up some money for a few years. He has nearly all the traits required for early retirement – disciplined, resourceful, low expenses, and disregard for social pressure. Knight said that growing up as a kid, his rural Maine family taught him that being tough was better than strong, and clever is better than intelligent. What if he had read the books Your Money or Your Life or Early Retirement Extreme when he was 20 years old? (I know they weren’t published until 1992 and 2010. But what if they were?) ERE author Jacob Lund Fisker used to catch flack because he voluntarily took cold showers to both save money and follow his personal philosophy of self-discipline and low environmental waste. Christopher Knight took cold baths from a bucket of rainwater for 27 years. No problem. He had already shown that he was willing to sacrifice nearly anything to stay away from people. He was willing to live in a tent. He pooped in the bushes. He never spoke a single word so as to keep hidden. How much would it really have cost him to live in the woods alone? $5,000 a year? If you use the 25x rule (aka 4% withdrawal rate), that’s $125,000. If he kept his previous job as a home security technician, he probably could have saved that up in 5 years. This guy is not a role model, but that’s kind of the point – with financial independence you don’t need to worry about what others think. The book doesn’t provide a current update on Christopher Knight. Maybe he did save up enough “F- You money” and is now alone again somewhere, minding his own business. My strategy for saving money on shaving is simple. I buy a bunch of razors once every 2 years, and use one razor per month. I try not to pay more than $1 per razor, so my total shaving bill is under $12 a year. To make sure they stay comfortable, I dry thoroughly after each use (some people use alcohol or mineral oil). I also hone occassionally with my forearm or jeans. 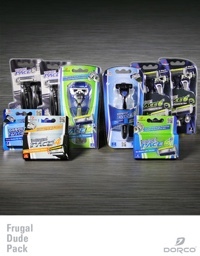 Here’s an example deal for under $1 per razor. Dorco USA (which also makes the blades for Dollar Shave Club) is currently offering 50% off their Frugal Dude Pack with promo code AFFDP717 good through 7/21/17. It’s a mix of 3-,4-, and 6-blade systems. The combo includes 2 handles, 16 cartridges, and 12 disposables. They call this a 1-year supply (at 13 days per razor), but this would last me 2 years (at 26 days per razor) as my facial hair is wimpy. I’ve been quite satisfied with the quality of Dorco razors. If you want to try it out first, you can get Pace 6 For Men (1 handle, 2 cartridges) for $1.99 shipped with promo code AFPACE6718. Good through 7/21/17. That’s still $1 per cartridge. Note that you should pick budget shipping, go to the end where you enter the promo code, THEN update the shipping cost, THEN it will show budget shipping as $0.00. Screenshot. I know that some folks prefer safety razors, for which you can buy a quality handle for $24 and then buy refills for 12 cents each after that, which also sounds perfectly reasonable if you enjoy that style of shaving. Who Maxes Out Their 401k, And Where Do They Make Sacrifices? Cars. 47% of “super savers” drive older vehicles in order to help maximize retirement savings. Housing. 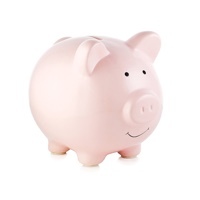 45% of “super savers” choose to live in modest homes to boost savings. 18% of millennial supersavers are renting. Vacations. 42% are opting to travel less than they would prefer. Work. 40% say they put up with work-related stress. 27% put in extra hours instead of spending time with friends and family. If you make a modest income and max out your 401(k), you are definitely doing something differently. Roughly 95% of people who make less than $100k aren’t maxing out their 401(k). If you become/are a TrueBlue member and submit proof of your qualifying status, you will get Mosaic status free through the rest of 2017. You can then enjoy the perks listed below. Waived change and cancellation fees. Waived for Mosaic members and others on their itinerary. Two free checked bags. Mosaic members and companions on the same itinerary can check both the first and second bag for free. Bonus points. Earn an additional 3 TrueBlue points per dollar on your JetBlue flight, for at least 9 points per dollar if you book on jetblue.com. Dedicated phone number. Get access to a dedicated Customer Service Line available 24/7. Free drinks. Enjoy complimentary alcoholic beverages onboard. As the US stock market keeps going up, it feels like everyone is whispering the same thing: We are near a top. It’s easiest to do this with numbers. Here’s a valuation metric that divides the price of the S&P 500 stock index by the median US hourly wage. In other words, how many hours of work does it take to buy a unit of the S&P 500? Answer: More hours of work than even at the top of the 2000 tech bubble. Found via WSJ Daily Shot newsletter and @ReutersJamie. Original source appears to be BAML (Bank America/Merrill Lynch). The good news is, many investors are prepared for a stock market decline. The bad news is, they’ve been prepared since 2011.